Having a betta first aid kit can make life a lot easier for you when your betta becomes sick. When serious sickness strikes it strikes fast, and if you’re not prepared you may not have time to save your betta. So keep reading to find out everything you should add to the first aid kit for your betta, as well as when to use it! Some of the things you may have lying around your home already, and others you may have to buy. This guide will be broken down into three parts. Essential equipment you should always have. Equipment that will come in handy, but isn’t life or death. Here is the essential equipment that you should ALWAYS have around your house. You may never need to use them, but when the times comes, they’re there. And if you act fast enough then you’ll be able to save your bettas life. Have an aquarium water test kit is a must for all fish owners. You should be checking your water frequently anyway to make sure the water levels in your tank are safe. This is especially the case in smaller aquariums. If you’re housing your betta in a tank that’s 10 gallons or smaller it’s a lot more likely that the water can fluctuate. This is because when something changes it will change a lot quicker than in a bigger tank. And professionals will often ask for the water parameters of your tank when making a diagnosis of your betta. By having it ready to go you’re going to save a lot of time. I use the API Master Test Kit. You should always have a water conditioner on hand as well. You’ll use it every time you add more water to your tank. And that’s why it’s great to have in your first aid kit. One of the things you’ll need to do when your betta is sick is frequent water changes. Without water conditioner handy you’ll be unable to do this. The water that you get from your tap is extremely dangerous to bettas if it hasn’t been treated. Because it’s full of chlorine and other chemicals. So having a water conditioner shouldn’t just be a staple of your betta first aid kit. It should also be a staple in for your tank care. Epsom salt isn’t just for people! In the correct doses, it can also be beneficial for bettas, and it should definitely be a staple in your first aid kit. One of the main benefits of Epsom salt is the fact that it’s a muscle relaxant. This means it’s going to be particularly helpful at helping bettas that are constipated. Not only this, but it’s also going to help with a whole variety of illnesses that require the muscles to relax. However, just make sure you’re not keeping it in your tank all the time. And if you are using it you should also be performing frequent water changes. You should also have an antifungal on hand ready for when your betta becomes infected. There are two popular antifungals to choose from. Pimafix and Jungle Fungal Clear. Luckily fungal infections are normally easy to spot and easy to treat. If you notice that your betta is suffering from a fungal infection, he’ll be healthy again in no time, if you act quickly! Copper medications are going to be needed when your betta is suffering from a parasitic infection. However, you should only use copper medication in more extreme cases. Also, you should avoid using copper medication in any tanks that have invertebrates or live plants in them. While your betta will be fine, invertebrates or live plants will be killed quickly if they’re introduced to copper. Along with Mardel coppersafe, you’ll also need a copper test kit. Because copper can be dangerous in higher doses when using it, it’s important that you’re checking the copper levels regularly. If you don’t you could end up doing more harm than good. If you can’t find any coppersafe then API General Cure works great for parasites as well. It’s also a lot safer. When combating bacteria it’s not as simple as grabbing an antibacterial medication and leaving it in your tank. You have to consider whether the bacteria are gram negative or gram positive. Otherwise, the medication might not work. Fortunately, if you stock both Maracyn 1 and Maracyn 2 or Furan 2 at home then you’re going to have everything covered. However, great care needs to be taken when using antibacterial medication. Your tank needs bacteria for the nitrogen cycle to work. So if you’re going to use any antibacterial medication then you should do so in a quarantine tank instead of your main tank. Furan 2 is effective against gram negative and gram positive bacteria so it’s the top recommendation. However, if you can’t get your hands on it then you should use Maracyn 1 and Maracyn 2. While it’s worth having all of the below in your betta first aid kit, these are the non-essentials. But even though you don’t NEED them, they’ll still come in handy when your betta is sick. First on the list of non-essentials is API stress coat. API stress coat is a water conditioner that also contains a small amount of Aloe Vera. 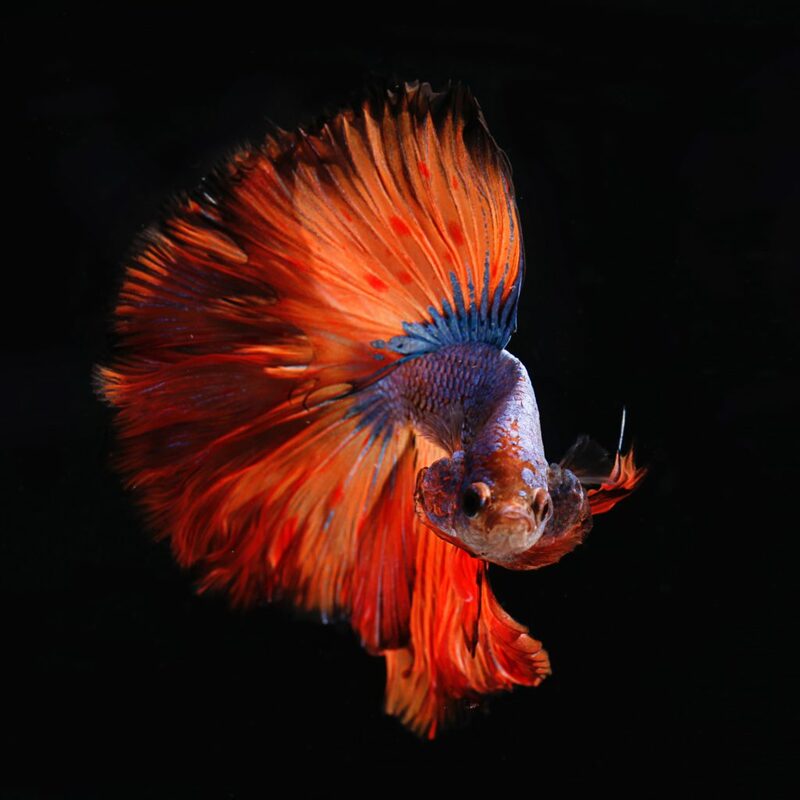 There are a number of reasons that you should keep API stress coat in your betta first aid kit. First of all, it’s going to help reduce stress. Aloe vera is a known stress reducer and when you add it to your tank it’s going to get to work. As well as this it also helps your bettas slime coat. A fishes slime coat is its main defense against infection. When your betta is sick or has a weak immune system his slime coat will dry out. When this happens if he gets cut or has any abrasions on his skin then he’s going to be even more likely to become infected. And lastly, API stress coat is also going to help any cuts and abrasions heal faster. So if you notice your betta has lesions on his skin or fin rot then you should definitely add some API stress coat the water. API stress coat is interchangeable with normal water conditioner. You can use either if you want, it’s all down to personal preference. Betta breeders often use Indian almond leaves in their betta tanks. The general belief is that they help keep your betta strong and healthy. And they may even make your bettas more reproductive (be careful). If you’re looking for a more natural way to strengthen your betta then Indian almond leaves are the way forward. They are going to help heal any cuts or fin rot your betta has as well. While they’re definitely the least necessary thing on the list, they are still worth investing in. Aquarium salt is another great piece of equipment that can really help your betta out. While it’s not good for serious infections it can be great to speed up recovery in mild cases of illness. In particular, it’s good for helping parasite-related illnesses as well as gill function. It’s also going to help improve your bettas slime coat. Here’s everything you need to know about aquarium salt for bettas. If you’re housing your betta with any other living things (including live plants) then you should be able to set up a quarantine tank when necessary. A quarantine tank is going to let you administer medicine without causing any damage to anything in your tank. When you use a quarantine tank you’re not only going to stop other fish from getting sick. But you’re also not going to treat them for an illness they don’t have. One problem that fishkeepers find is that illnesses and disease become more resistant to medicine over time. Especially if they’re being dosed when they don’t need to be. As well as the tank itself you’re also going to need a heater and a filter. The reason for having a separate filter is because you don’t want to destroy the biological media in your main tank. If you dose your aquarium with antibacterial medicine then you’re going to kill the good bacteria as well. You should check out this article to learn everything you need to know about quarantine tanks. There are two popular medications that are often used on bettas that haven’t been added to this list. And the reason is their results aren’t as reliable. The medicine is bettafix and melafix. While you may have used them in the past and had great results, that isn’t true for a lot of betta owners. Even when following the recommended doses on the bottles some people have reported that melafix and bettafix actually cause a betta’s health to deteriorate quicker. So it’s up to you whether you’re going to use them or not. However, I think it’s best to be avoided. An aquarium water test kit, water conditioner, Epsom salt, copper medication, an anti-fungal medication, and antibacterial medication are all essential to keep. Aquarium water test kits allow you to know if the water conditions are good for your betta. Epsom salt is a muscle relaxant that will help with constipation and dropsy. 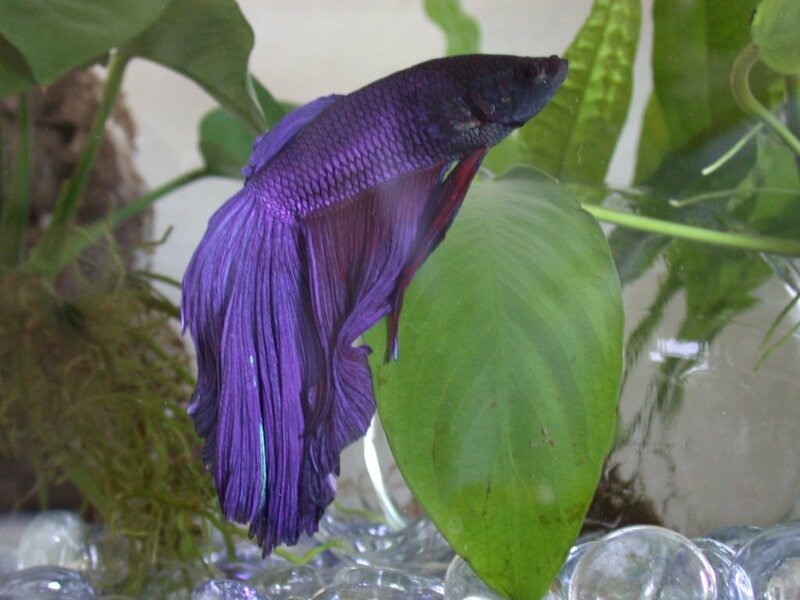 Copper medication is used to treat bettas who are suffering from parasites. While not essential you can also keep Indian almond leaves, aquarium salt, and API stress coat in your arsenal as well. All 3 of them are going to help your betta heal quicker. If you house your betta with anything living you should use a quarantine tank when treating him. In fact, using a quarantine tank is always better with medication. Because then there’s no chance of destroying the beneficial bacteria in your tank! 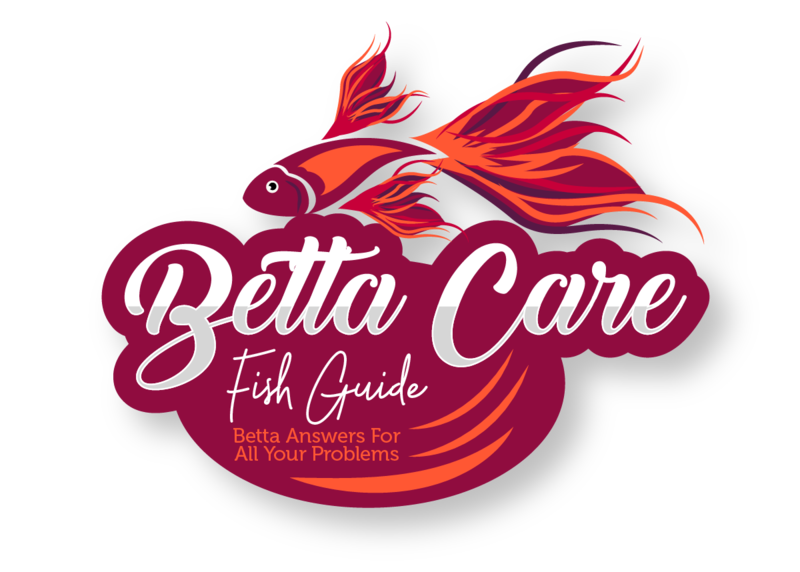 If you liked this article on betta first aid kits or if you have any more questions then you can leave a comment below! Otherwise, have a great day!